A great misfortune has struck me now. My heart can not bear its severity. My beloved son, who was 19 years old, died being afflicted with cholera. He had completed high school by virtue of his own capabilities. Now was the time for him to flourish and progress further. He was my only son, so with his death my share in the future of this world ended. Please, for the sake of Allah SWT, make dua regarding patience for me. I am about to have extreme despair. Tell me something to recite (if it may be beneficial in gaining patience). I was aggrieved by passing away of your son. 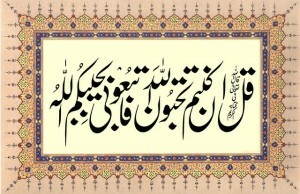 Allah SWT make his magfirah and give you saber e jameel (outstanding patience). You should read the chapter of patience in (Imam Ghazali ra’s) Kemiya e Sa’adet repeatedly. Recite لا حول و لا قوۃ الا باللہ excessively all the time. InshaAllah, with these measures tranquility will be achieved. I am also making dua for the best for you. However, since you have a relationship with me for the betterment of your religious state and this can not withstand any formalities, it is essential to mention with all sincerity that I was aggrieved more by the reasons of your grief than the actual incident of his passing away. You overstepped the natural grief by mentioning the intellectual reasons for it, such as, he had completed high school, now was the time for him to flourish and progress, my share in this world ended. This means that the major grief is on loss of these worldly pleasures. All of this concludes that one’s primary goal and objective is this dunya (world). Utterance of such things from mouth or pen of seeker of truth is like proclamation of shirk (associating partners with Allah SWT) from a monotheist. This is a bigger calamity than the other tragedy. That is, why one’s qalb (heart) is like this, with such desire? This definitely needs amendment. *This is most probably to distract the afflicted from being engrossed in imagination of the deceased, resulting in more sorrow. Allah SWT knows best! This entry was posted in B. Praise worthy morals, C. Blame worthy Morals, D. Acts of Worship, E. States, F. Zikir & fikr, H. Whispering & random thoughts, J. Rights , N. Advice, T. Tarbiyet on December 30, 2012 by 'abd.